The old adage goes something like "a picture is worth a thousand words." Here's my question: What if that picture represents about one-fourth of a total? 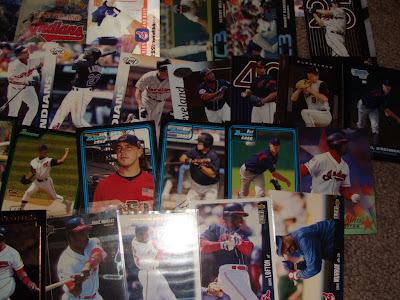 That is what I faced today when I sat down to finally get Andrew's "big ol' box" cards entered into my database. What you see above is about one fourth of the cards he sent me. Why only one fourth? Because that is where I had to stop and take a break! I still have three times that many cards to check against my collection, and based on what you see there, most of the cards left to do will find a happy home in my collection. 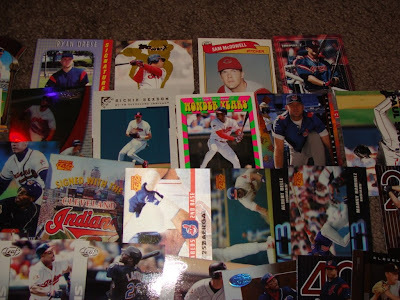 This first group of cards include Fleer Glossy, Ultras, Sportflics, Topps Stars, Upper Deck, O-Pee-Chee stickers, Panini stickers, and so much more. "And that was only one quarter power," (he) said in a tone of awed confidentiality - to quote one of my favorite stories. Know it? Be the first to answer with the author and title and you win something! All I can promise is that it will be game-used. I have never received such a large box of cards in which the majority appear to be finding their way into my collection! I cant tell you how much I appreciate the time and effort that went into finding these! Thank you so much, Andrew! And keep reading - there are four more posts to come about the goodies I uncover/discover in this box! Great cards! I am putting together a Tribe package for you as well. In the Deathroom by Stephen King? 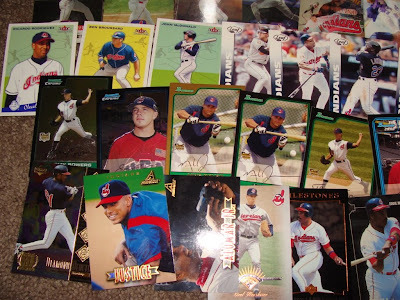 Don't have a clue , but what a great pile of Tribe cards ! The Diamond King is correct. I picked the book title which is a collection of stories. He picked the story. I bow to his superior knowledge. I am a big fan of Stephen King's short stories, especially in audio format! 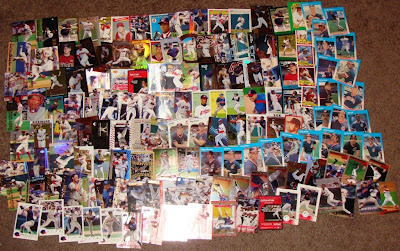 I,m glad most of those cards will go towards filling in your collection David. It makes the searching worth it! 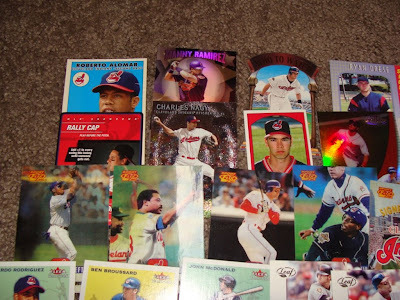 I have more cards to go through for you, but I had to stop so I could search through the big box of Tribe cards I received from you!